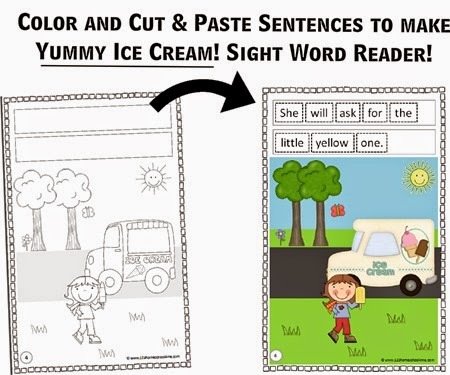 Kids are going to love practicing sentences, reading comprehension, sight words, and more with this fun farm themed Create-Your-Own Reader. 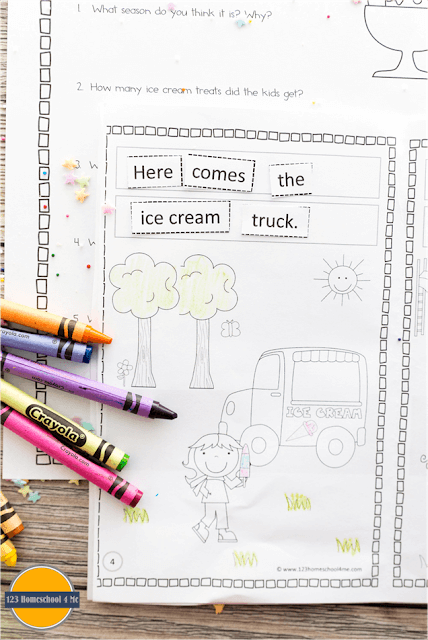 This activity is suitable for Kindergarten, 1st grade, and 2nd grade students. I am so excited to share my new Create-Your-Own Reader Series! The first one is perfect for summer – Yummy Ice Cream! Kids in Kindergarten, 1st grade, and 2nd grade will color and cut & paste to add text to these books. This will give them some fantastic practice building sentences. The reader is made up mostly of Pre-Primer, Primer, and 1st grade sight words. There is also a page of reading comprehension questions. 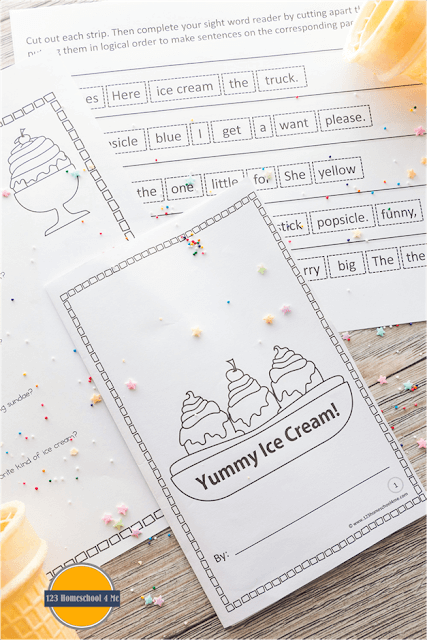 My 1st grader was having trouble putting words together into a sentence so I have been creating various free printables to help kids learn about sentences. This Create-Your-Own Reader just may be my favorite! Complete directions are included in the free printable, but basically you are going to print front and back to make a black and white, empty Farm Reader. Optional: Answer the questions on the Reading Comprehension Worksheet included.